What Does Acts 26:16 Mean? Three times the book of Acts records Paul's conversion on the road to Damascus. Chapter 9 details his journey to the city with an edict from the high priest authorising the arrest of all who followed Jesus. We read how Jesus met him on the road and challenged him saying - "Saul, Saul, why are you persecuting Me?" And Paul replied, "Who are You, Lord?" And He said, "I am Jesus whom you are persecuting, but get up and enter the city, and it will be told you what you must do." Acts 22 tells.. how years later, the apostle Paul's presence in Jerusalem produced an uproar among the Jews who hated him, causing him to be arrested by Roman soldiers... who allowed him to defend himself to the crowd in the Temple complex. He explained the reason for his conversion to Christianity... "as I was on my way, approaching Damascus about noontime." he told them, "a very bright light suddenly flashed from heaven all around me, and I fell to the ground and heard a voice saying to me, 'Saul, Saul, why are you persecuting Me?'" "And I answered, 'Who are You, Lord?' 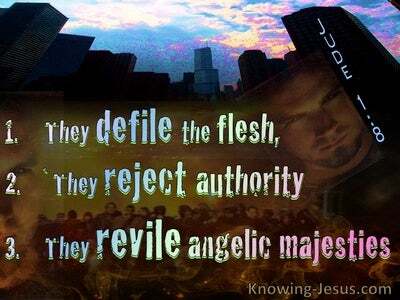 And He said to me, 'I am Jesus the Nazarene, whom you are persecuting.' "And those who were with me saw the light, to be sure, but did not understand the voice of the One who was speaking to me. "And I said, 'What shall I do, Lord?' And the Lord said to me, 'Get up and go on into Damascus, and there you will be told of all that has been appointed for you to do.' "But since I could not see because of the brightness of that light, I was led by the hand by those who were with me and came into Damascus". The final time Paul related his conversion experience was before Festus the governor, king Agrippa and queen Bernice. Having been continuously persecuted by the Jews who were calling for his death, Paul had made an appeal to Caesar for a fair trial... and as he stands in the midst of the court, he gives the fullest description of his encounter with Christ, on the road to Damascus. Having described the hatred of the Jews towards him and their attempts to kill him and having been falsely accused of breaking the Mosaic Law, Paul once again explained that at midday, he saw a light that was brighter than the sun shining from heaven, around him and his companions, causing them to fall to the ground. He described how the glorified Lord Jesus spoke to him in the Hebrew dialect and asked why Paul was persecuting Him and acting like a foolish donkey... kicking against the goads of his heavenly master. He relates the shocking answer to that question - 'I am Jesus whom you are persecuting". 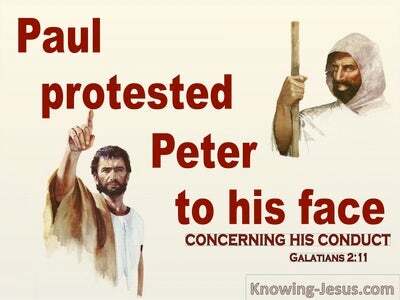 By oppressing Christians - (the Body of Christ), Paul discovered he was persecuting Jesus - (the Head of His Body, which is the Church). Paul suddenly realised He was fighting God by rounding-up the Christians and was persecuting the Lord of heaven and earth. 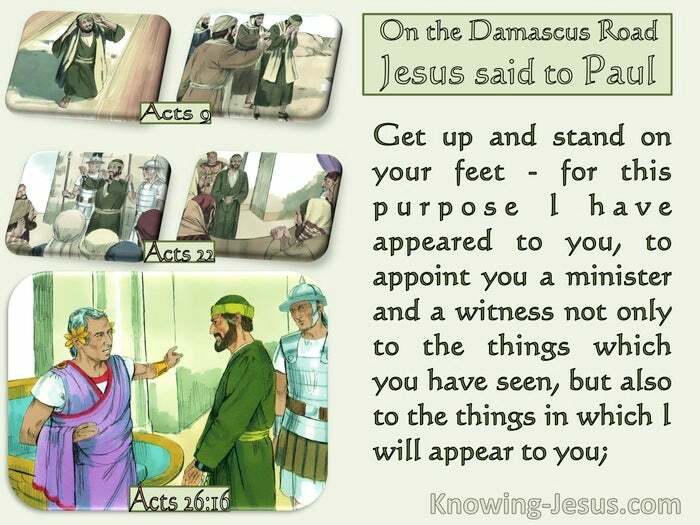 Paul immediately relates to his audience the instruction he then received from Jesus... 'But get up and stand on your feet', he was told 'for I have appointed you a minister and a witness not only to the things which you have seen, but also to the things in which I will appear to you". Saul the persecutor was being commissioned to become Paul the apostle of Christ. He was being chosen by Jesus to proclaim the very gospel he had vowed to extinguish and was told that the Lord Jesus Himself would appear to him once again and he would be given greater revelation - which would later become part of the canon of Scripture. Surely the testimony of Paul must be one of the most comforting truths for every sinner. All of us are born dead in sin; at enmity with God and without a hope of saving ourselves by our good works. Saul of Tarsus had become the most feared character in the early church. His 'fame' as a persecutor of Christians had spread beyond Jerusalem; Judea and Samaria to every corner where Christianity had reached. Saul's hatred of Christians had caused believers to flee far and wide and knowledge of his threats and murder against the disciples of the Lord was known by all. 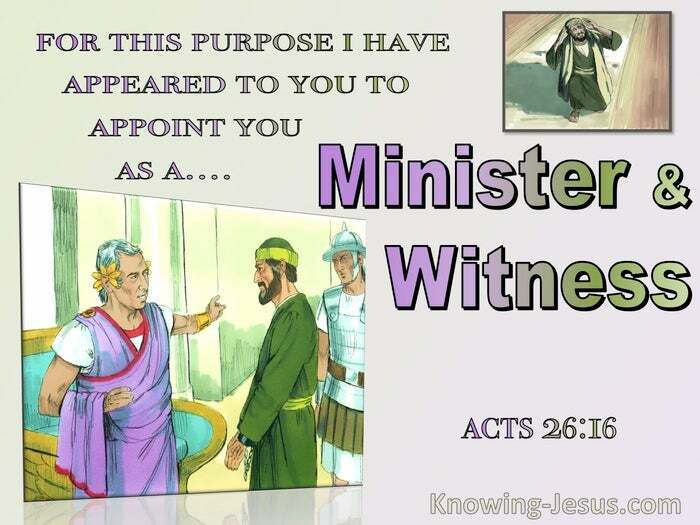 But in this verse we read - 'But get up and stand on your feet; for I have appeared to you for a special purpose, to appoint you as a minister and a witness not only to the things which you have seen, but also to the things in which I will appear to you." 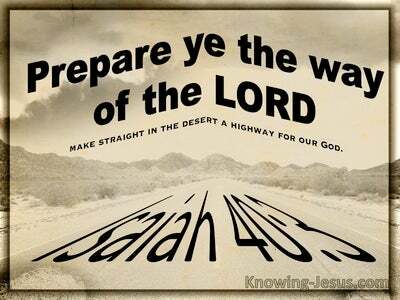 - future revelation given to him from the Lord Jesus Christ, Himself. 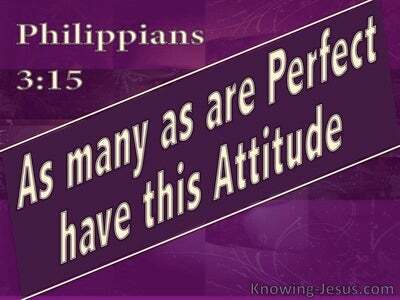 Paul became Christ's chosen apostle to the Gentiles; a minister of reconciliation; a writer of Scripture; a prophet of God and a witness of the gospel of God to Jews; Gentiles; governors and kings. He was given amazing revelation for the Church from the Lord Jesus Himself and was even caught up into Paradise, and heard inexpressible words, which he was never permitted to speak about. Surely, if a man like Saul with such aggressive hatred against Christ and the Church could become the most devoted follower of the Lord Jesus, others can have the assurance that their sin can also be forgiven - by grace through faith in Him. Surely, if Paul's mercilessly slaughtering Christians and incarcerating men, women and children in prison can be forgiven by God - there is no sin too great that cannot be forgiven... except for the sin of UNBELIEF. Let us tell abroad to Jew, Gentile, governors; kings, people and all with whom we come in contact, that THIS is eternal life - believe on GOD and believe also in HIM Whom He has sent - Christ Jesus our Saviour.